The play received the ‘Branislav B. Čubrilović’ prize at the Festival PatosoOFFiranje in Smederevo (Serbia) in July 2014, which is given to the author with the bravest and most innovative approach to art. DADA - An Essay in Movementis a performance about Dada Vujasinović, a journalist of the magazine Duga, who, at the beginning of the war in Yugoslavia, reported from the field, and then continued writing about the events on the political and social scene of Serbia in an open, clear and truthful way. She lost her life under the circumstances that have never been explained on 8th April 1994. She was thirty years old. 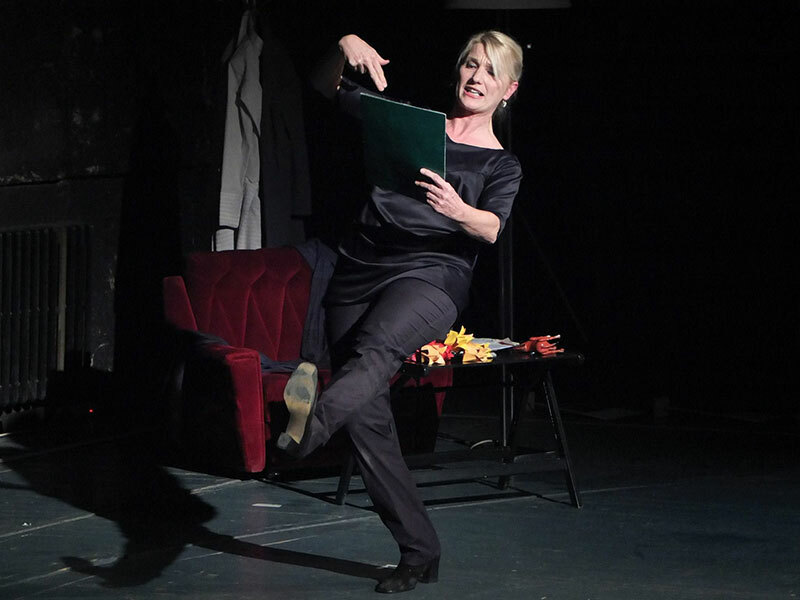 An essay in movement as a variation of a theatrical essay is a new stage expression and concept developed by authoress Sanja Krsmanović Tasić. In this form, through artistic actions, real life events and phenomena are shown with (self)critical reflections of their origin and consequences. The essay is always presented through elements of personal history put into a context of social events that have influenced it directly. Movement and dance have always been the authoress’s primary form of expression, hence some essays have to be written in movement. As any essay, this one also contains footnotes presented at the very beginning. The footnotes consist of fragments of memories and facts, and artistic interventions, which, as pieces of a jigsaw puzzle, eventually, depict the life and work of Dada Vujasinović, as well as the times she grew up and died in, with a special emphasis on the last four years of her life. 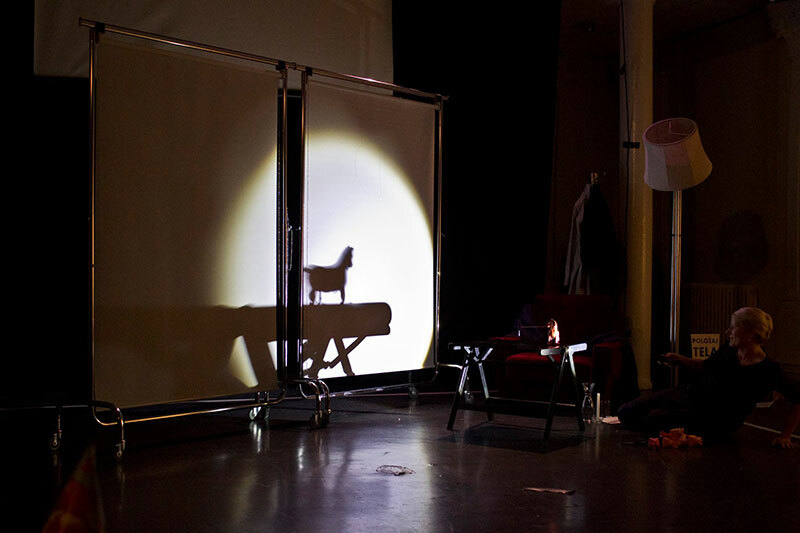 The audience can choose the order in which the footnotes will be presented in the theatre space, through texts, videos, scenes or interventions in space. The essay as such happens at the very end of the performance. 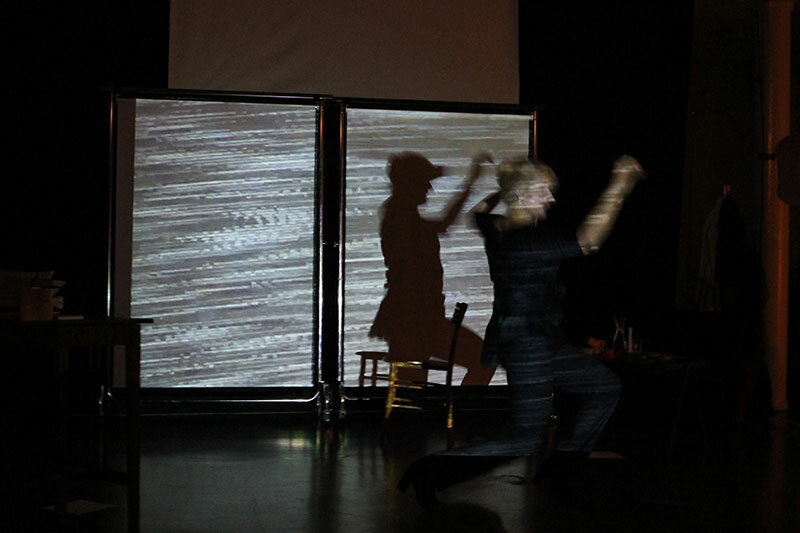 The Hleb Theatre is an artistic project and a troupe consisting of interdisciplinary artists-activists of different generations and backgrounds connected by a passion towards performing arts, in the fields of theatre and artistic dance, the process/research theatre and subjects that are provocative and socially and politically engaged. Music, visual arts, artistic dance, physical theatre, performance art and poetry are the skills and means they use in creating the performances with an awakening and, primarily, healing character. The Hleb Theatre is also dedicated to artistic education through workshops and projects, as it believes that helping young artists to develop and form is one of their key missions. Through international collaborations, co-productions and activities on the international scene, they connect the culture and engaged production as well as artists from our country with their peers all over the world. - Tales of Bread and Blood, 2011. - Sisters in Arms, 2014.